In February Destination Scuba hosted the month’s Compete Huddle at its Phoenix, Arizona location. Members of the valley sports community were able to network while enjoying a tour of their large shop, complete with an indoor pool.. Those attending the event included members from the Phoenix Storm Rugby Club, Phoenix Frontrunners, Phoenix Gay Flag Football League and others. 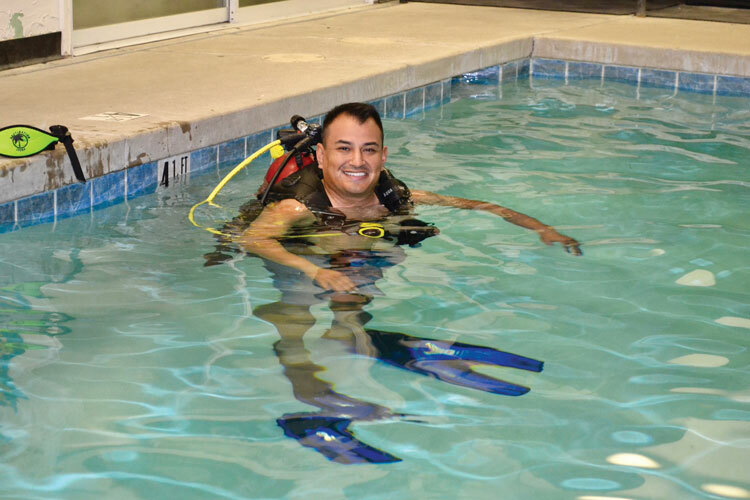 During the event guests had the opportunity to take a complimentary scuba lesson, courtesy of Destination Scuba and thanks to fledgling diver Jared Garduno, past commissioner of the National Gay Flag Football League. Check out photos from the event in our digital issue.